The lip print is something that never seems to go out of style. 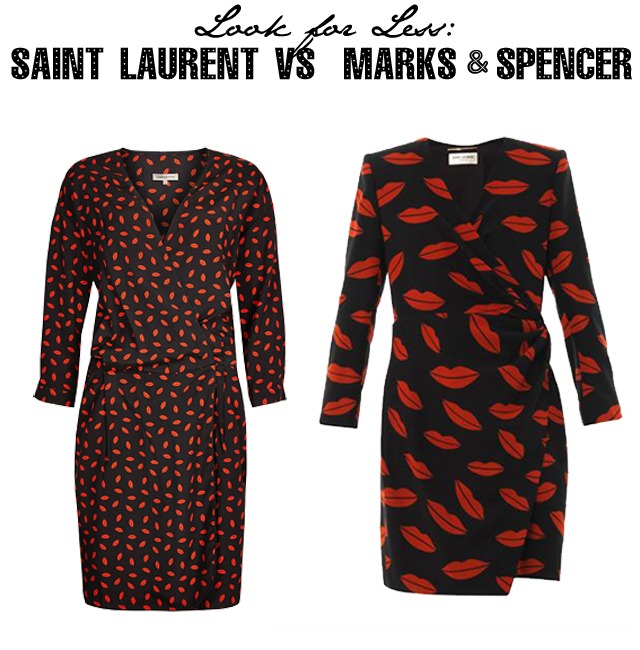 Just ask Saint Laurent, who have brought back a classic wrap dress from their archive featuring the timeless print. Seems they're not the only ones this season that are obsessed with kissable wraps. Marks & Spencer are also flittering with the lips print fo spring summer 2014 in their Limited Collection. This £45 M&S wrap dress is an easy addition to the wardrobe. Simple and light, it's also a lot easier on the wallet. But if you're hell bent on having the best, throw down the £2,000 it will cost you for the Saint Laurent version.